The number of candles one needs to make any party feel like a Hollywood event. need over 200 candles per floor. And the fire department on speed dial. 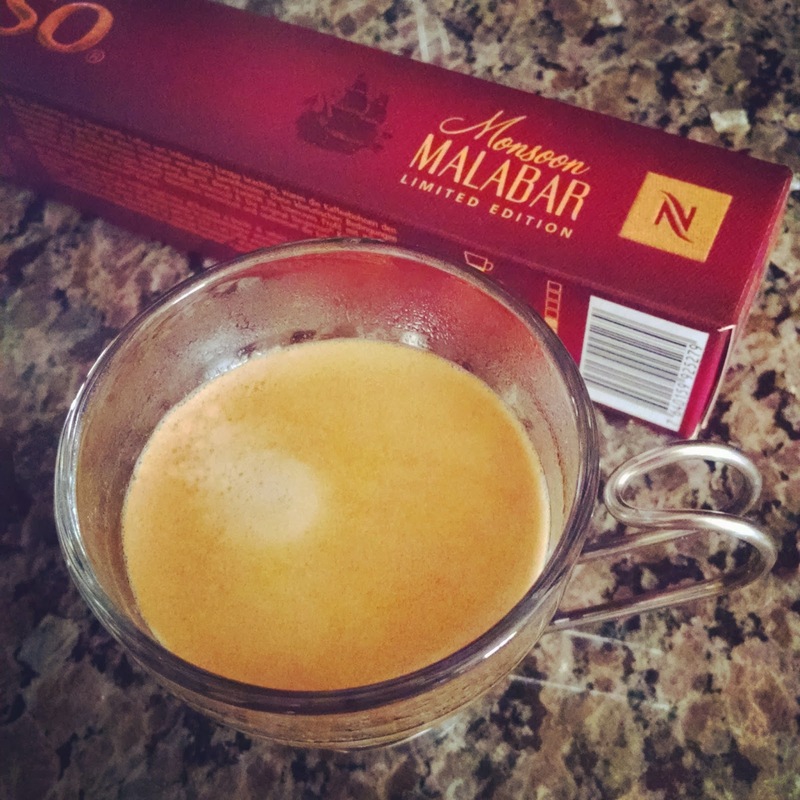 Nespresso's new flavor: Mansoon Malabar. Indian espresso beans infused with flavors of wood and the sea. You can smell the ocean when it brews! Yum! Bon Appetit's raspberry-ricotta cake. I don't bake but this is super easy and super delicious! And I taught Danny how to fold dry ingredients into wet. Maybe next time he's bake the cake! All the Light We Cannot See by Anthony Doerr. It won a Pulitzer. Let's hope I can swallow it before the library loan expires and it gets deleted off my iPad. 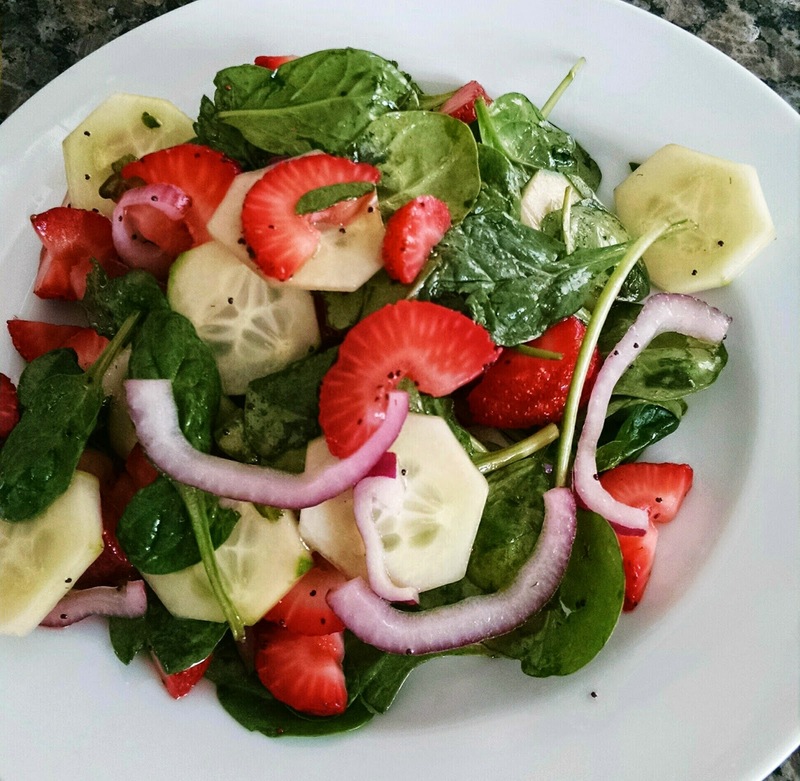 The Spinach and Strawberry Salad is perfect for spring and summer entertaining. Not only is it delicious and looks good, but unlike other green salads, it can be prepped in advance. 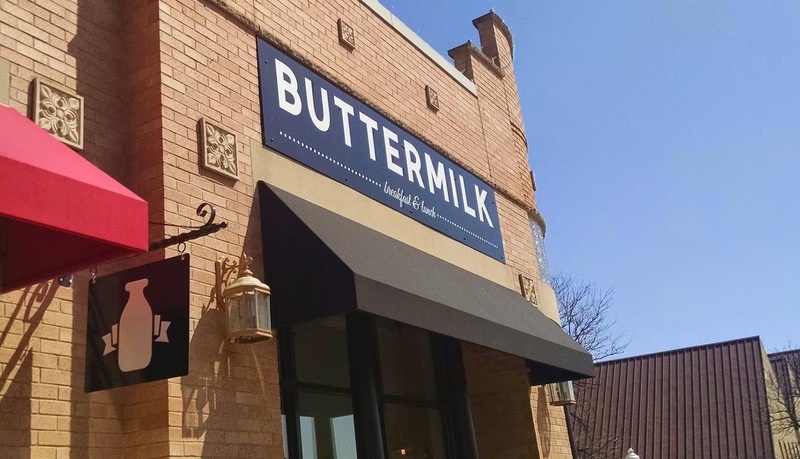 I always serve it for Easter, it's a perfect light start to a large meal. 1lb of organic Strawberries, sliced. Whisk together Vinegar, Simple Syrup, and Poppy Seeds. Slowly whisk in Oil until the vinaigrette comes together. Assemble the salad in a bowl big enough to toss the salad without spilling the spinach all over the counter. Dress and let sit a little before serving. The strawberries and cucumber tend to settle on the bottom, either toss again to bring them to the top or plate individually. Make ahead: The Strawberries and the Onions can be diced a day ahead and stored in the airtight container in the fridge until ready to use. The vinaigrette can be whisked together and bottled. If it separates, just shake it up vigorously before use. I do not recommend slicing the cucumber ahead because it will release water. *Simple Syrup: equal parts of sugar and water, bring to a boil while stirring continuously until sugar is dissolved. Cool completely. Can be stored in the fridge in a glass container for several months.